Finland’s education system is failing. Should we look to Asia? Finland's recent decline in international test scores has led many to question whether its education system is truly the best. Finland scored high on the original PISA education assessment, but its scores have slipped in recent years. Critics argue that Finland's success came from earlier education models, not from headline-making features like late start times, lack of homework, and absence of test assessment. Asia's rigorous education system is now eclipsing Finland's PISA scores. Which approach is the right one? Which is truly shortsighted? In 2000, the Program for International Student Assessment (PISA) released the results of its first survey of education attainment. Administrated by the Organization for Economic Cooperation and Development, the triennial assessment tested the skills and knowledge of 15-year-olds around the world. That year, Finland handily came out as a top performer, scoring high in math and science, and number one in reading. The United States' performance that same year, for comparison's sake, could best be described as middling. These results led many to claim that Finland had the best education system in the world. Educators and politicians swarmed to the Nordic country in the hopes of discovering the source of their golden touch. Then things took a turn, and Finland's standings began to slip. Between 2006 and 2012, its scores in science, reading, and math fell sharply: 18, 23, and 29 points respectively. PISA 2015 saw further drops; meanwhile, other top performers have remained relatively steady. "Finland was on a downwards slope, not an upwards one," writes Tim Oates, director of assessment research and development at Cambridge Assessment. "All the assumptions in 2000 seemed to be of Finland at the top and on the rise, not on the way down. And that was mistaking PISA for a longitudinal study, rather than a cross-sectional one." While Finland remains a top performer, it has lost its luster in the eyes of many experts, bringing criticisms of Finland's education system to the debate. Gabriel Heller Shalgren argues that Finland's educational successes have their origin with the economic and industrial growth that predates the 2000s. Finland's meteoric rise certainly had some cause. Looking in, many claimed it to be reforms dedicated to school autonomy and pupil-led education. They pointed to the system's lack of centralized accountability and features like late start times, lack of homework, absence of test assessment, and a culture that celebrates the teaching profession. For Gabriel Heller Shalgren, research director at the Center for the Study of Market Reform Education, this view lacks hard evidence. According to him, Finland's initial successes resulted from educational standards instituted in the 1970s and '80s, well before the above policies could take root. In a monograph titled "Real Finnish Lessons," he notes that Finland's teaching system was centralized and teacher-dominated up until the '90s, meaning decentralized reform came too late for it to be responsible. Instead, Finland's late developments in industrialization and economic growth bolstered the country's educational performance. Late developments, Shalgren points out, that mirror those in East Asia. Shalgren does agree with some popular explanations, such as Finland's reverence of teachers. However, he notes this is not a recent phenomenon and stems from the role teachers played in the country's nation-building process, way back in the 19th century. "Overall, the strongest policy lesson is the danger of throwing out authority in schools, and especially getting rid of knowledge-based, teacher-dominated instruction," writes Shalgren. "[T]he story from Finland backs up the increasing amount of evidence, which suggests that pupil-led methods, and less structured school environments in general, are harmful for cognitive achievement." For Shalgren, the decline in Finland's recent test scores results from reality finally catching up to Finnish fantasies. Asian countries have outdone Finland's education system in the most recent PISA surveys. As Singapore, China, and Japan overcome Finland, especially in math and science, countries like Taiwan are quickly closing the gap. This has led some to wonder if Asian education systems have improved over Finland's in meaningful ways. Students in Asia start their education earlier, work harder, and work longer. Simply put, the more time students put into developing skills and knowledge, the more of both they will acquire. Finland's education system lowers the bar accordingly to match a student's talent and skill set; East Asian systems require students to work to meet a universal standard and catch up if necessary. 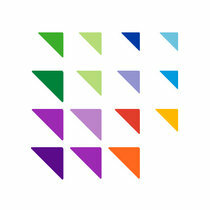 East Asian systems promote competitiveness and center educational strategies on excelling. In Finnish culture, such open competitiveness is less socially acceptable. Finland strives to make learning fun and creative; however, Tanninen argues that this approach may be disadvantageous. It may, for example, sacrifice long-term educational gains if success is always measured on a student's instant gratification. "When did [Finland] subscribe to an idea that there is a glass ceiling that says, 'Good enough'?" Tanninen said. "Where as in Asia, I don't remember any of my professors saying, 'Okay, good enough.' It would be, 'Okay, Hannah, work hard; you can go further.'" The gender gap in Finland's education system? Girls report that they enjoy reading more than boys the world over, but in Finland's education system, the gender gap is significantly wider. Despite Finland's dedication to equality, its performance gap score continues to languish below the OECD average. In an analysis titled "Girls, Boys, and Reading," Tom Loveless, director of the Brown Center on Education Policy at the Brookings Institution, notes Finland's gender gap in reading is twice that of the U.S. While Finnish boys score the average, Finnish girls score nearly double that, meaning the country's superiority in reading literacy rests solely with one gender. Interestingly, boys typically score higher on math and science, both in Finland and other OECD countries. However, Finland's latest PISA scores have girls outperforming the boys in both subjects (though the score differential was significantly less than in reading). "Finland's gender gap illustrates the superficiality of much of the commentary on that country's PISA performance," writes Loveless. "Have you ever read a warning that even if those policies contribute to Finland's high PISA scores—which the advocates assume but serious policy scholars know to be unproven—the policies also may be having a negative effect on the 50 percent of Finland's school population that happens to be male?" This gap extends beyond PISA scores. In Finland, more women enter higher education and obtain higher levels of education overall. No doubt many factors are at play, but one pointed out by Pasi Sahlberg, Finnish educator and scholar, is that boys simply don't read for pleasure. "Finland used to have the best primary school readers in the world until the early 2000s, but not anymore," he told The Washington Post. A time frame that matches Shalgren's point that pupil-led pedagogy may have diminishing effects. Finland's education system the best? Wrong question. Of course, these criticisms and others are part of an open and ongoing dialogue—not just about Finland's education system but about efficient pedagogy the world over. They make noteworthy points, but there are counterpoints on the other side, too. 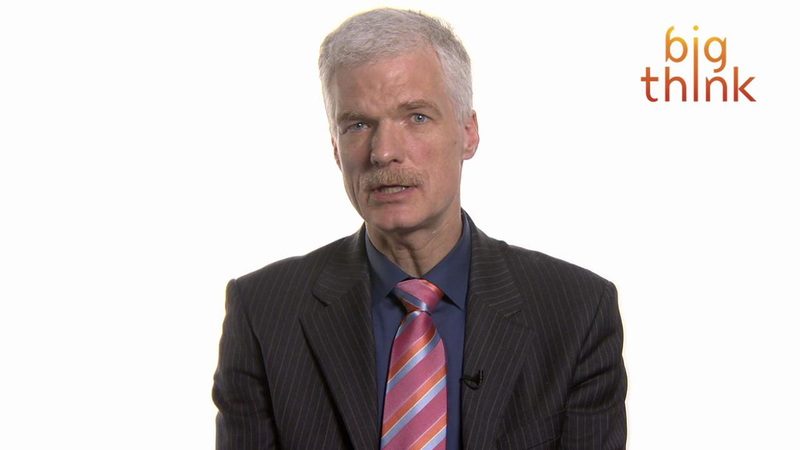 For example, Andreas Schleicher, OECD director of education, disagrees with Shalgren's analysis. He believes Finland's recent declines are modest compared to the headway made when the country switched from traditional education. While Asian education systems may be surpassing Finland's, their uncompromising schedules and test-driven milieu may be shortchanging their futures for short-term gains. That's the argument made by journalist and political scientist Fareed Zakaria. "[We] should be careful before they try to mimic Asian educational systems, which are still oriented around memorization and test taking," writes Zakaria. "I went through that kind of system and it's not conductive to thinking, problem solving, or creativity." And Finland's gender gap, though stark, is in keeping with larger trends. Girls outperform boys in all countries, and the debate is ongoing as to how social, biological, and cultural forces perpetuate the gap. The point isn't to argue that Finland's education system isn't valuable. Rather, it's that "educational tourists" look to Finland, see what they wanted to see, and don't bother to ask the questions Finland itself continues to grapple with. As Tim Oates points out, there are important lessons to be gained here. But insights should harmonize with an understanding of Finland's culture, its history, and a wider range of evidence, not simply be a laundry list of fashionable factoids. Oates's conclusion is fitting: "In the case of [Finland's education system], people have been seriously misled by stories told by people who have looked at Finland through their own, restricted lens. The real story of Finland is more subtle, more challenging, and far, far more interesting."